Theme Park Tourist focuses on Disney’s latest and greatest news! Although we’ve known about this new ride since June, Disney has finally confirmed that when Typhoon Lagoon returns from refurbishment early next year, there will be a new ride to experience at this park as well. Named Miss Fortune Falls, this new attraction will be a lengthy family raft ride that will tell the story of fictitious Captain Mary Oceaneer, a treasure-hunting heroine who got stranded at Typhoon Lagoon years ago by a rogue storm. During this two-minute raft ride (the longest raft attraction in all of Walt Disney World) guests will embark on a journey through Captain Oceaneer’s past before plunging into a white-water adventure where they can see unique artifacts that Captain Mary Oceaneer collected on her many treasure hunts around the world. To help celebrate the opening of the new Disney Springs location of Bibbidi Bobbidi Boutique, a new discount will be offered for select groups visiting this new venue behind Once Upon a Toy. 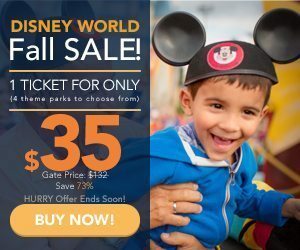 Beginning today and lasting through September 5, 2016, Annual Passholders, Disney Vacation Club Members, Disney Visa Card members, and Walt Disney World Resort hotel guests will recieve a 10% discount for Bibbidi Bobbidi Boutique packages. Appointments can be made by calling 407-939-7895 for guests aged 3 to 12, and this discount only applies to the Disney Springs location. Princess Elena of Avalor will be making her first appearance at Walt Disney World next week on August 11th, when a special Royal Welcome show will debut on the Cinderella Castle Forecourt stage at the Magic Kingdom. After the first showing, this new royal welcome for Elena of Avalor will be presented several times daily at the park from August 12th, and will feature Cinderella and Prince Charming welcoming this new princess to the Magic Kingdom. Princess Elena will then arrive accompanied by a troupe of regal banner carriers and musicians and will perform the song “My Time,” from the Elena of Avalor TV series (which is airing now on Disney Channel). You can check out a video preview above. Though this new show has been characterized as a limited-time show, no end date has been set yet. The Magic Kingdom is now playing host to a special limited-time one-on-one meet and greet with Belle at the Liberty Square Heritage House. This character experience will be available daily exclusively to guests who have purchased Memory Maker or Memory Maker One Day packages, as well as Walt Disney World annual passholders with complimentary Disney PhotoPass entitlements (which include the Platinum Plus, Gold and Premier annual pass levels). When guests arrive at this new experience, they will need to verify their pass and/or Memory Maker status by scanning their MagicBand before entering. During this meet and greet experience, Belle will be appearing in her iconic, yellow formal dress, and will be available for these special guests to meet and take pictures with during select times from 11:00 AM to 5:40 PM. This new character experience will be available through the end of the month. Guests staying at Walt Disney World Resort hotels can now take part in a new augmented reality experience based on the Star Wars Rebels TV series. Guests who sign up can use their smartphone to communicate with Ezra Bridger, who will guide them on an undercover mission that takes them from their room all the way to Disney’s Hollywood Studios. 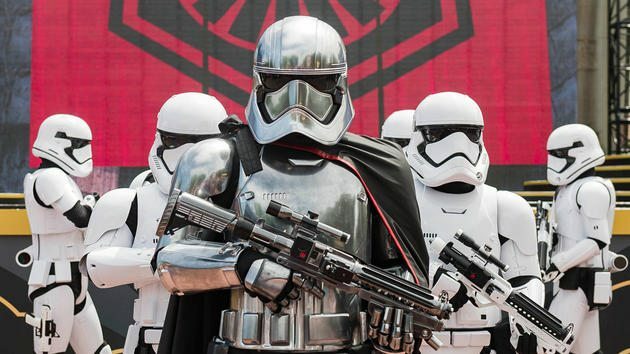 After putting on the included Imperial Security Officer disguise, guests will head to Star Tours, where hidden data they’re carrying on their devices will be secretly transmitted. Once the mission has been completed, guests will be able to return to their resort room to unlock a mysterious box holding a rebel medal of honor, like the one in the film Star Wars: A New Hope. Theme park tickets are required and not included, as is an iPhone or Android device. This new experience will be available beginning August 15th, and will cost $500 per room. The Incredible Hulk Coaster has officially roared back to life at Islands of Adventure. Though the actual ride is essentially the same, this iconic roller coaster has been completely re-tracked and features new vehicles, lighting effects, and even a reimagined queue. You can read more about all the changes to this attraction here. Universal Orlando Resort has announced a new after-hours passholder event as part of 2016’s Annual Passholder Appreciation Days. For two nights on Friday, August 19th and Saturday, August 20th, annual passholders will be able to enjoy access to Universal Studios Florida and Islands of Adventure after park closing, from 9:30PM to 11:30PM. In addition to enjoying attractions like Skull Island: Reign of Kong and the aforementioned The Incredible Hulk roller coaster, there will be some special activities during this event as well, including a “family photo” for passholders to participate in. 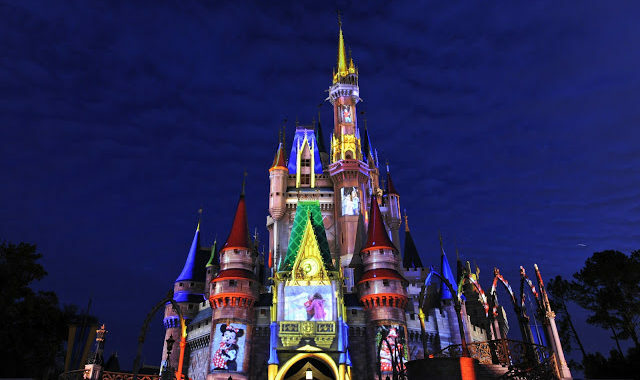 Space for this event is limited to 8,000 passholders per night, and interested guests can click here to learn more and register. Yet another haunted house has been confirmed for this fall’s Halloween Horror Nights, this time, based on 2015’s Krampus film. This house will recreate the Engel home from the movie and feature several spooky elements, including dark elves, gingerbread men wielding nail guns, an engorged Jack-in-the-Box, and the toothy teddy bear from the flm. You can check out a video preview above. Meet & Greet Jack Hanna – For $39.00 guests can reserve space to meet Jack Hanna and receive a reserved seat during his presentation at the Nautilus Theater. Dine With Shamu Jack Hanna Dinner on Saturday, August 20 – For $59.00 guests can enjoy a delicious dinner with Jack Hanna during a special Dine with Shamu event. 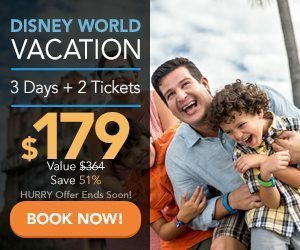 This package includes the regular Dine with Shamu event, as well as a meet-and-greet with Jack Hanna and a reserved seat at the 3:00 PM show at the Nautilus Theater. Dine With Shamu Jack Hanna Brunch on Sunday, August 21 – For $49.00 guests can enjoy a 10:00AM breakfast brunch with Jack Hanna at Dine with Shamu. The package includes brunch at Dine with Shamu, a meet-and-greet with Jack Hanna and special reserved seats for the 11:30 AM show. Now through September 14th, Wells Fargo customers can pick up an exclusive 40% off admission coupon when visiting a local Central Florida branch. This discount can then be used at the front gate to purchase tickets. We’ll make sure you never miss a beat! You can now make Disney World your permanent home—and you don’t have to quit your job and put on a Mickey Mouse costume to do it! Run Over to Zootopia's “Move It, Shake It, Dance & Play It” Street Party!